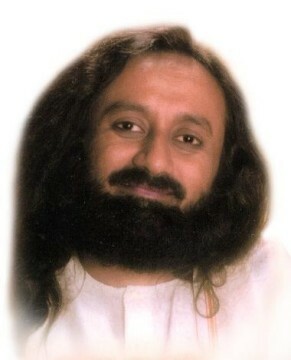 Dear Gurudev, I find that very often people take advantage of me. For a while it seems okay, but then it makes me angry that they are just walking all over me. Where do I draw the line? If I resist I often feel guilty that I’m being selfish. How can I differentiate between self respect and ego? Now you are mixing up too many things up. First of all, you should know when a person is taking advantage of you and when you have to be compassionate. This is like asking me how to balance a bicycle. Just balance! I can’t say if you fall to the right, push over to the left! No, balance like how you would ride a bicycle. If people are taking advantage of you, put your foot down and say no more. Where you need to help, there you help them. It’s not self respect issues all the time, but you should not be vulnerable to people taking advantage of you as well. If someone is in need of help it’s okay to help, but someone is unduly asking help from you all the time then you should say 'No, it won’t work'. Our compassion should always be accompanied by wisdom. I was in the California Bay Area recently. Our AOL volunteers came there very enthusiastically to tell me that they fed thousands of homeless people and that they wanted to do it on a regular basis. I refused and I asked them to stop. They were shocked because they thought I would be pleased listening to the service they had done. I said, 'No, I appreciate you did it this once but no more. Look at those people, they are not old or invalid people. These are strong men and women who can work and earn their bread. If you keep giving them food like that, while they are sitting on the roadside or in the homeless shelter, they will keep on eating and enjoying and they won’t do anything. You are spoiling them'. So I said no, this is not compassion but misled compassion. Compassion would be to instead teach them bhastrika (a breathing technique taught in Art Of Living programs) and do some skills training for them. Labour is not available these days; there is lack of drivers, construction workers, and many other areas. People should do some hard work. If they are invalid or very aged then definitely they need to be helped, but not someone who is in their youth and quite strong. Otherwise we are cultivating a wrong culture. Compassion should always be accompanied with wisdom. Wisdom is knowing whom to give, where to give, what to give, how to give. 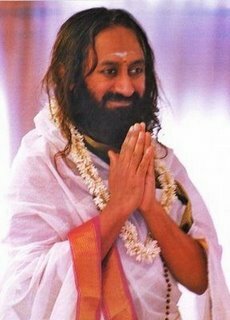 Gurudev, I am in silence so I can’t speak but I wish to scream at some people on this course. They are so rude and think only about themselves. Shouldn’t spiritual people be more considerate? Yes, you are right. I keep them here so that they cause less problems in the world. Just imagine even after having come to the spiritual field if they are rude, how would they have been in their previous incarnation without the spiritual knowledge. You don’t get disturbed by them. We are not a homogenous group here, not everybody is same. We are all different types of people here. Among the 500 people that are here there maybe only three or four very irritating people. Thankfully they are only a minority. You don’t see everybody behaving that way, otherwise we would have a war here. There are some very good people here with a lot of patience as well. So put your attention on the good people, on the good natured decent people who have courtesy. I am also at a loss with these people. I’m also thinking how to educate them. Maybe they are slow learners. Let’s hope one day they learn. Just remember there are all different types of people. We are literally in a zoo because the world is like that; it is like a zoo. I’m confused as to why in the Vedic books there is mantra for success in gambling when Lord Krishna forbids gambling in the Bhagavad Gita? The ancient thought was that a king should know everything, even how to steal. So a prince, before he becomes a king, he was trained how to become a thief and steal, so that tomorrow when he becomes a king he understands a thief also. So all this good, bad, all types of knowledge is present in the Vedas. It is so that people understand everything and everybody. To understand criminals you have to know their psychology and that is what they have said about. It’s not that you should do it or practise it. 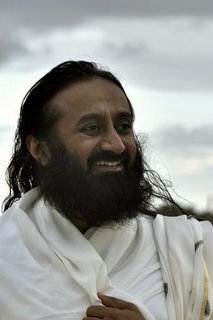 Dearest Gurudev, what to do when suddenly one experiences a state of emptiness? What to do when all meanings fade away? Please bless me! Yes, bless you! All these feelings and emotions come and go. Sometimes you feel so dry like everything has disappeared. All your good feelings: love, dedication suddenly go away; but suddenly they appear too. So these are just passing phases in life, just keep moving on. Dear Gurudev, is it better for couples to come to the course together or each for him or herself? It depends on you. Sometimes if both of you want to have your own space, that is your decision. And if you want to come together and enjoy it together, again your decision. Both are okay. Dear Gurudev, please tell us which is the best place to put our heads when we sleep (North, South, East or West). North has a magnetic pole, so if you put your head in the north and sleep north-south then the magnetic current that flows from north to south passes through your head to your toes. It can be tiring and drain the energy a little bit. This is an ancient thought. You always sleep east-west so that you cut the magnetic field and let it pass through your whole body horizontally and not through the nervous system. That is a very minor issue, nothing major. It has only to do with the magnetic current.